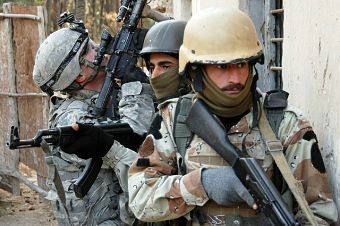 US & Iraqi soldiers in Diyala Iraq 2008. US Army. flickr cc. A new ABC report, quoting from a previously classified document, reveals that the Australian government decided in early 2002 to join the American-led Iraq War, but failed to disclose that to Parliament or the public. James O’Neill is a Barrister at law and geopolitical analyst. He may be contacted atjoneill@qldbar.asn.au. This article first appeared in John Menadue’s blog, Pearls & Irritations, on 30 November 2018.